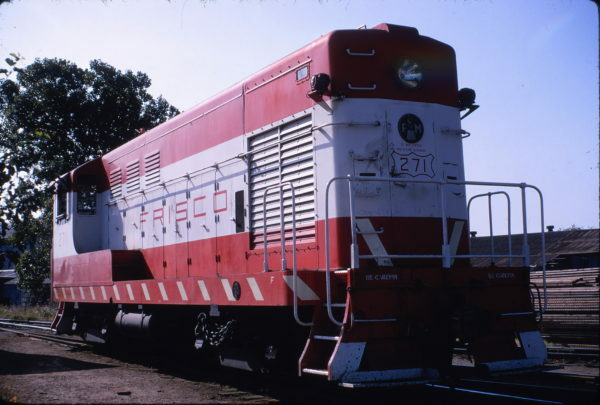 H-10-44 277 (location unknown) in July 1970 (Keith Ardinger). 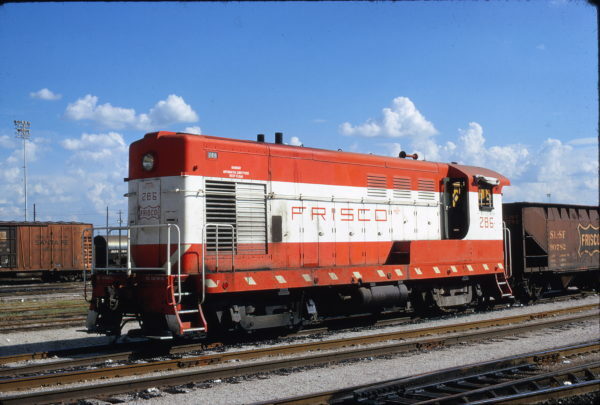 H-10-44 273 at Springfield, Missouri on July 17, 1960 (Arthur B. Johnson). 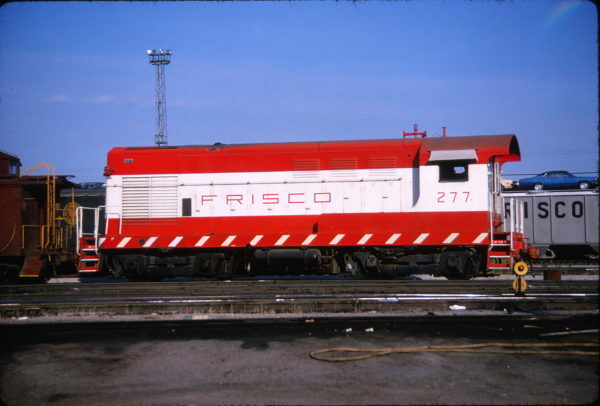 H-10-44 281 and H-12-44 284 at Tulsa, Oklahoma on July 20, 1972 (James Claflin). H-10-44 281 at Tulsa Oklahoma in August 1973 (Phillip Faudi). 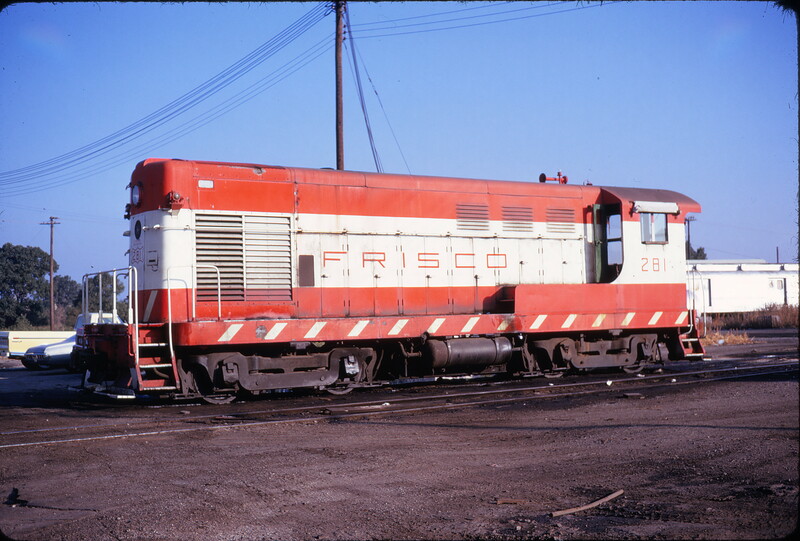 H-10-44 280 at Tulsa, Oklahoma (date unknown). 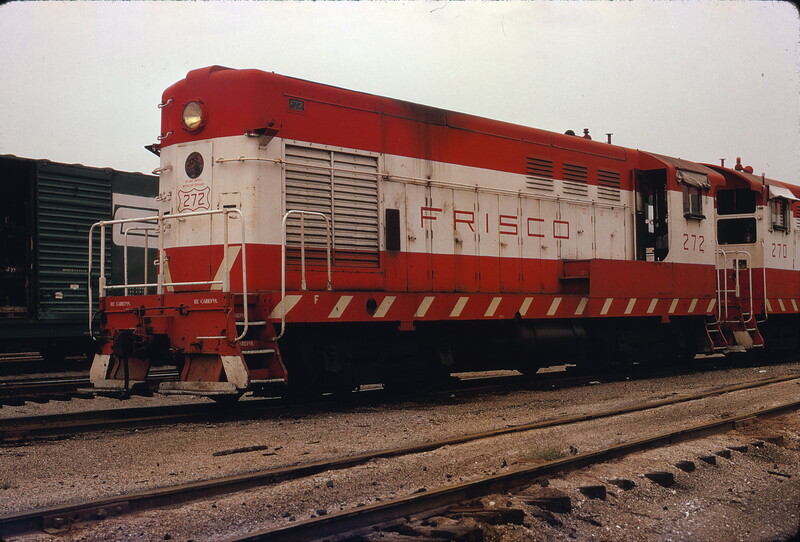 The locomotive is near the north end of Cherokee Yard. On the left horizon is a portion of the downtown. The building in the background is the Bank of America Financial Center at 515 South Boulder Avenue West. 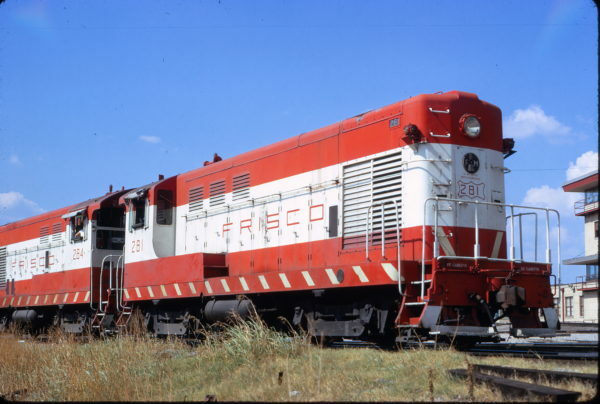 There are a number of interesting details on this locomotive. On the cab roof are a “nail” type radio antenna, single chime horn and a yellow globed identification light. 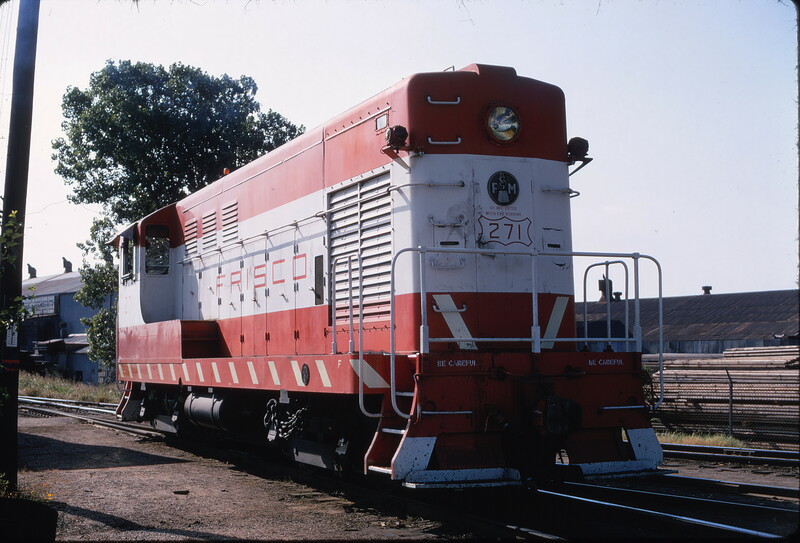 Further forward are two flared exhaust stack spark arrestors. Above the window on the cab side is a bleached canvas sun shade. On the forward hood at the corners just above the white stripe are classification lights. 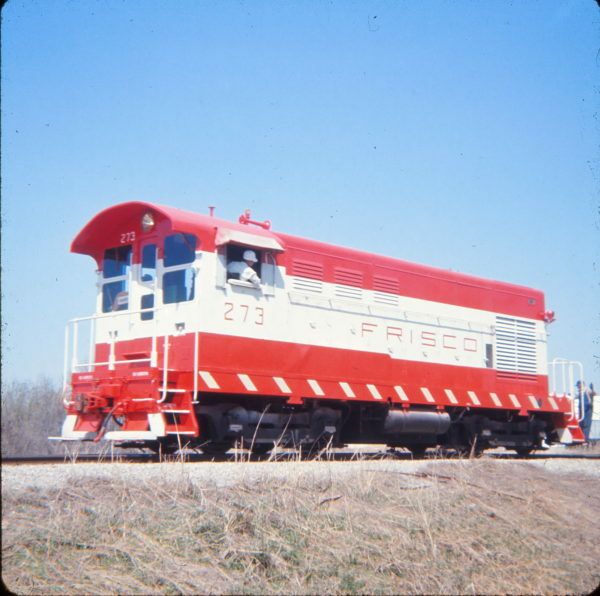 These units would on occasion be used on trains to outlying stations in Oklahoma including Enid, Muskogee and Oklahoma City. 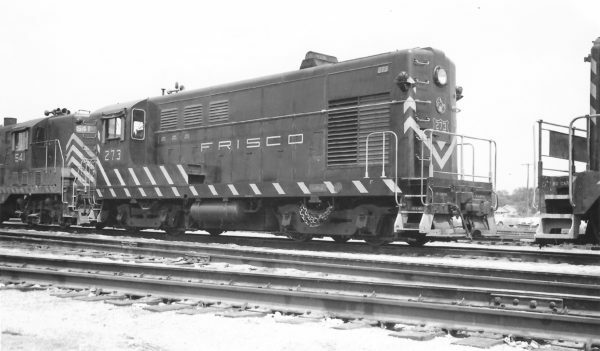 On the front engine room door and frame sides are round cast metal builders plates for Fairbanks-Morse and Company. Hanging on “J” shaped hooks below the frame above the front truck is a heavy chain. If a coupler failed, clearance was tight, or adjacent track was in poor shape, these would on occasion be used to help move a car. H-10-44 280 at Tulsa, Oklahoma on July 22, 1972 (James Claflin). H-10-44 273 at Tulsa, Oklahoma in April 1968. H-10-44 272 (location unknown) in January 1974. 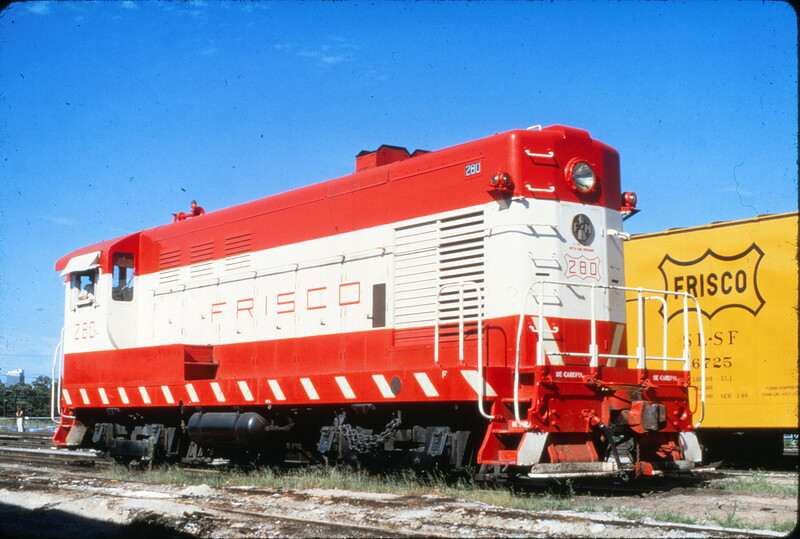 H-10-44 286 at Tulsa, Oklahoma in September 1972 (Mac Owen). 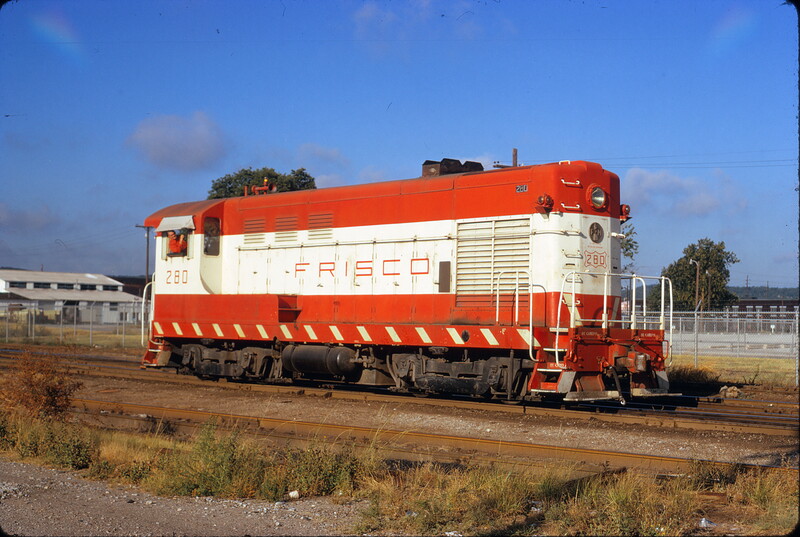 H-10-44 271 at Tulsa, Oklahoma on July 6, 1970 (Keith Ardinger). Note that one of these slides was labelled as being in Springfield, Missouri but it appears that Tulsa, Oklahoma in the correct location unless evidence exists to the contrary.